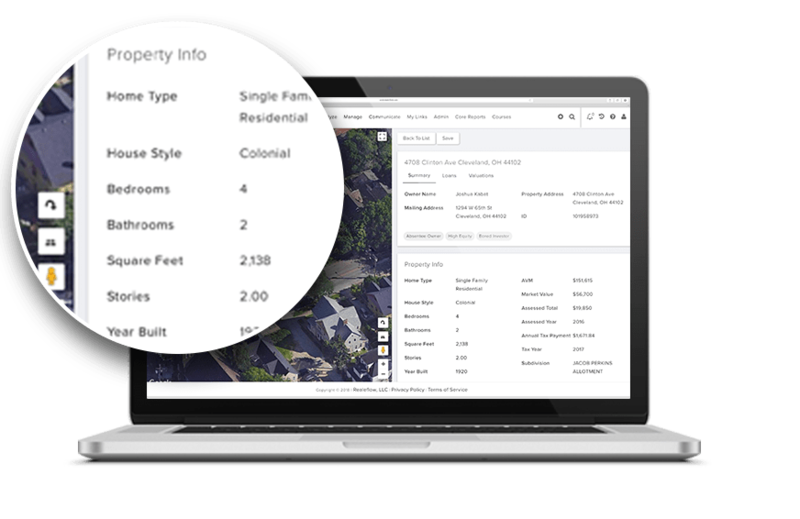 Built in “Automated Valuation Modeling” for an accurate value of properties you’re looking to buy and sell. Immediate Access to this 5 module online training course that shows you how to generate motivated seller and cash buyer leads using ONLY Facebook. How to stand out from all the Facebook “noise" with real estate digital bandit signs. How to create a highly targeted motivated sellers lists that crush it as Facebook Audiences. Save hundreds of hours of time creating ads by accessing our full library of images and videos for use in ads. How to avoid getting sucked into Facebook all day by setting up automated Facebook follow-ups thru Facebook Messenger. How to read your ad’s ROI and know exactly what tweaks to make to boost conversion! 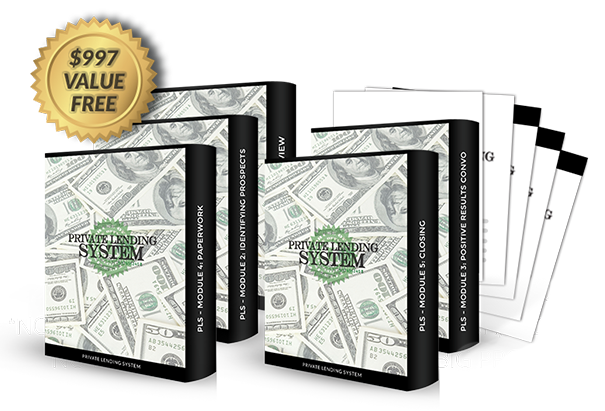 Immediate Access to this in-depth online training that includes 42 easily digestible videos, downloads, and legal documents to allow you to systematically raise private money for your deals without ever stepping foot in a bank. The proven 6-step process to raising private money from scratch (even if you have ZERO experience). How to position yourself as a MAGNET to private money lenders in your local area. The exact word-for-word script that gets private lenders excited to work with you long-term. How to build INSTANT credibility with private lenders using our pre-made “credibility kit” (just copy-and-paste!) AND MUCH MORE! A comprehensive 3-part training course designed to show you the most effective ways to comp, inspect, and analyze potential real estate deals in your area. How to avoid comping mistakes that bloat your ARV every time. How to catch the “big things” during inspections before they destroy your rehab budget. How to avoid the bad deals that cost you tens of thousands of dollars, hundreds of hours, and un-ending headaches. How to master using comps and work estimates to analyze the deal for big profits. 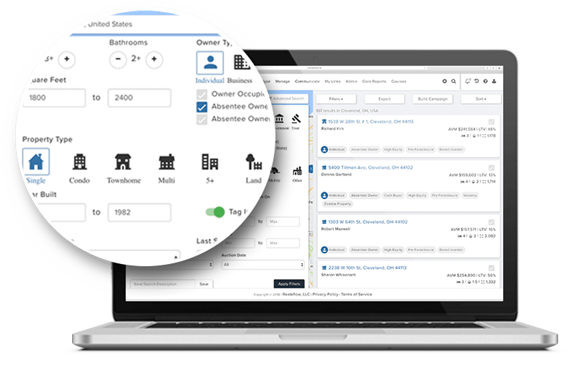 Leadpipes Premium offers more super targeted lead types than any other real estate data provider. With our “multi-dimensional filtering” you can now layer multiple lead types on top of one another to create “Superlists” of prospects. Our master database is considered “organic” which is a fancy way to say it’s updated daily and is in constant development – It’s changing all the time just like the people and the property which make it up. Property square feet, lot size, year built, beds, baths, and over 100 more data points help you make more informed buying decisions. 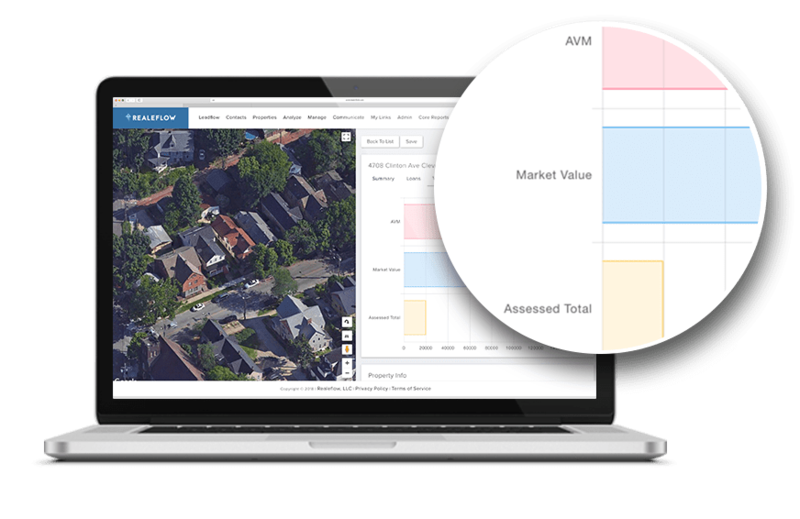 With built in “Automated Valuation Modeling” you can get an accurate value of properties you’re looking to buy and sell. Review all current and recorded deed and mortgage information. 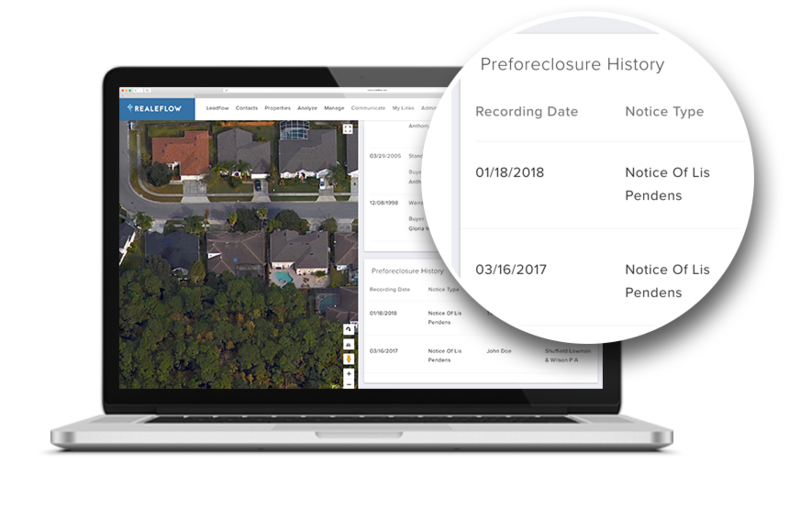 Access property lien and foreclosure information throughout the entire legal foreclosure process. 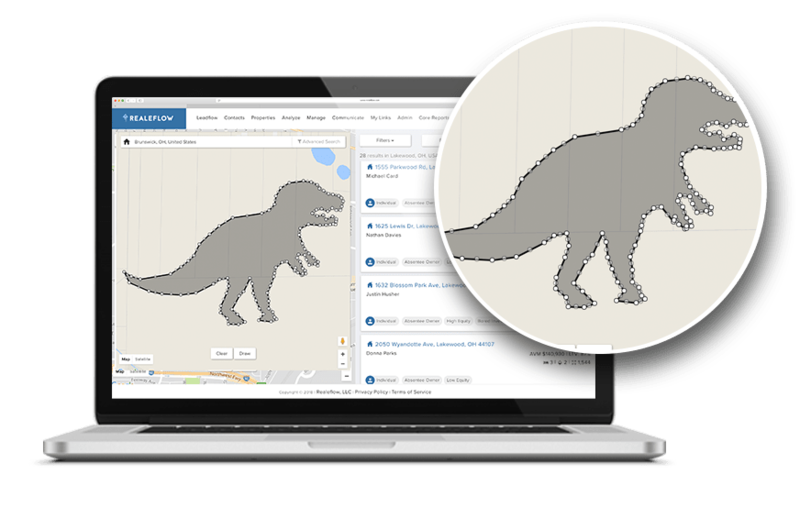 Search EXACT areas or neighborhoods using our polygon and geocoded search feature. 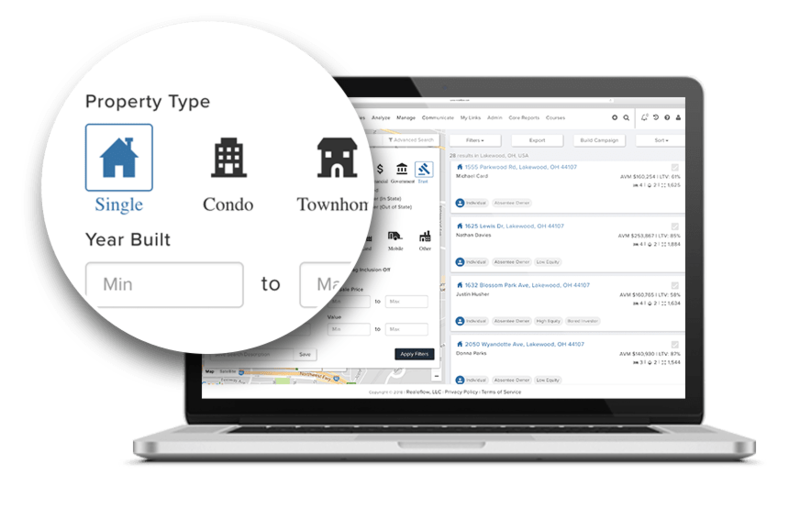 Search all properties by “owner types” which include individuals, businesses, financial, government owned, or trust. Look up single family homes (SFR’s), condos, townhomes, multi-family, 5+ apartment, land, mobile home, and specialty property. Elijah my 10 year old recently used Leadpipes Premium to build a list of properties we could build a “dinosaur waterpark” on. I’m currently being talked into it! 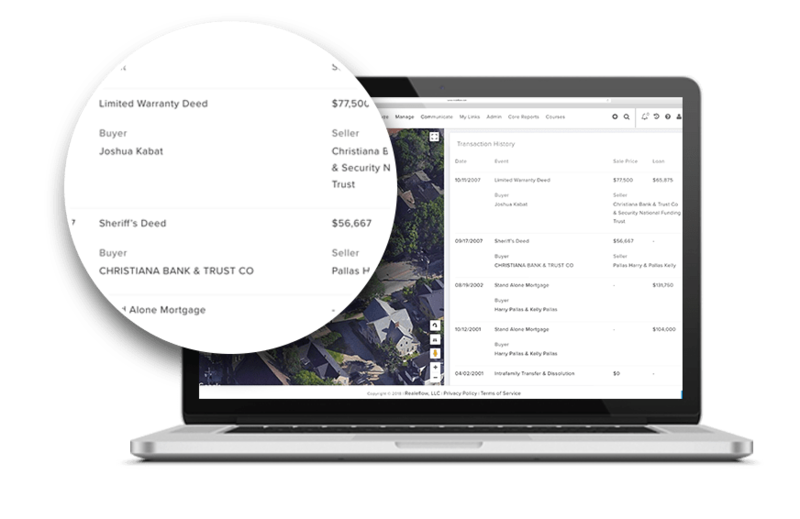 Access people centric data like private lenders, renters, flippers, and bankruptcy data. ALSO access “Probate Data” for an additional fee. Quickly search just one property or save your detailed search for further use. 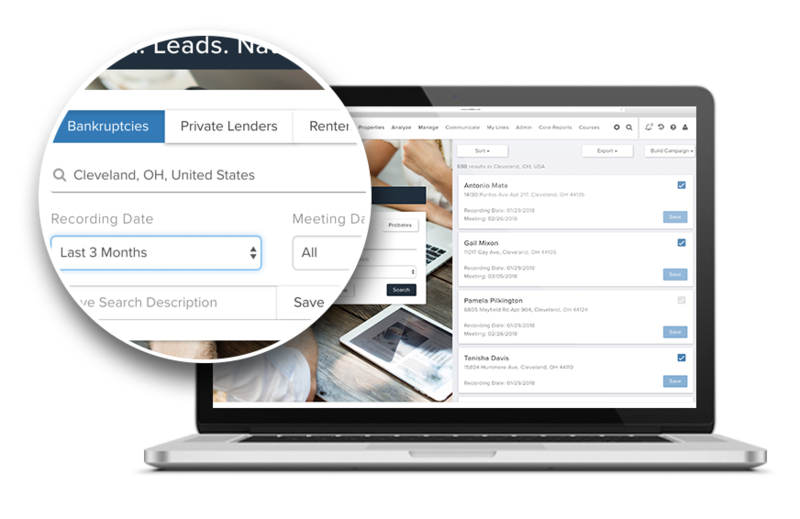 What Types Of Motivated Seller, Buyer, And Private Lender Leads Are Provided In This ONE Software? An active 'For Sale' property listing on the MLS. Absentee Owners who have owned the subject property for a long period of time. Owners who have likely paid cash for their property. Real estate investors who have recently bought and resold a property. An equity based lead, these properties are owned without any mortgage and are thus ‘Free & Clear’ of any debt. The same party who has occupied the house for the past thirty years is the owner of the property. An equity based lead, these properties are owned with a mortgage on the property and the loan-to-value is greater than 80%. These properties have been identified as properties that were potentially inherited either from parents-to-children or from spouse-to-spouse. The properties in this lead type are not guaranteed to be inherited, but show the characteristics of being so. Having significant capital holdings which can be used as a funding source for your deals. A person who is currently renting an apartment or house and may be in the market to purchase a property of their own. An equity based lead, these properties are owned with a mortgage on the property and the loan-to-value is greater than 100%. These properties are in the pre-foreclosure process and are also vacant. If You Had All The Leads You Need AND The Tools To Convert Those Leads Into DEALS? We want to make you a limited, special offer. You’ve seen how LIFETIME ACCESS to the leads alone is worth $10,000 (WITHOUT the bonuses), but I wanted to make this a “no-brainer” for you today as a sincere “THANK YOU” for choosing Realeflow. So I want to make you this EXCLUSIVE LIMITED-TIME OFFER. I know what this is going to do for your business and your life and I want to help you get to where you want to be as quickly as I possibly can. Your investment is protected by our 60-Day "Free Look" Policy. 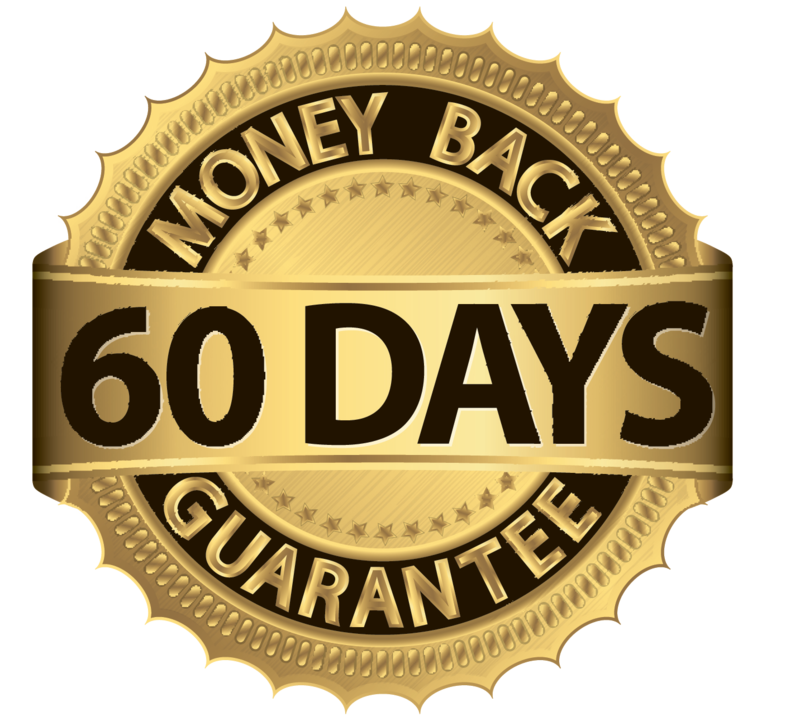 Here's how that works: You have a full 60 days to test out everything included with the Leadpipes Premium upgrade package.If you decide during that time that this system is not right for you, just let us know and you'll be issued a full and prompt refund...no questions asked. In short, you get a great return on your investment, or you get your money back. It's that simple. On the fence? Wondering if Realeflow’s Premium Leadpipes is right for you? Q: Does this only work for experienced real estate investors? ABSOLUTELY NOT! We’ve successfully set up this system so that even somebody who is completely brand new to real estate can plug-in, implement the tools & training we provide, and find your first (or next) real estate deal faster than ever before in history. In fact – out of the 45,000 people who use our Realeflow software, MOST of them started out with full time jobs, families & commitments … and were able to transition into real estate investing full time as a result of using our products & software. Q: What areas does Leadpipes Premium work in? This works in all United States territories, in every state across the country (even including Alaska & Hawaii). Because you’re investing in this program today, you’ll receive nationwide access. Instead of just getting leads in your local area, even though you’re paying the lower price … you’re getting access to EVERY single motivated seller, private lender, and buyer lead in America. Q: What If I Already Have A Realeflow Account? If you already have a Realeflow account, you’re simply adding on the Leadpipes Premium account today. So the next time you log in, you’ll be able to use the Leadpipes Premium software right inside of your Realeflow account. You’ll also have instant access to all the bonus courses (mentioned above) as soon as you log into Realeflow. Q: Who Owns The Lead Data? Where Does It Come From? The data inside of Leadpipes Premium is made available to you from multiple sources all over the country. Once you turn that data into a LEAD (ie: when a seller contacts you or you contact THEM) you own that data. We don’t log in or use that data for any reason whatsoever … so your leads are YOUR leads, your contacts are YOUR contacts, and your deals are YOUR deals. 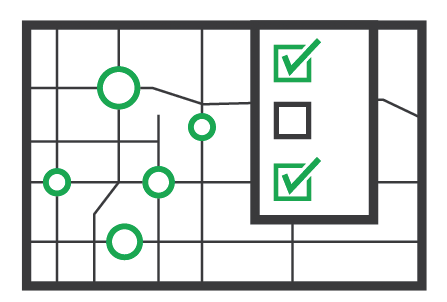 Q: Can’t I Just Buy These Leads Separately From A List Broker? Yes, you could. However… if you’re familiar with how that process works, then you know that you’re going to most likely pay $1 per lead (or more) for halfway decent data. 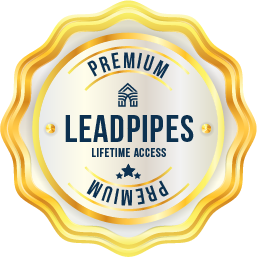 So if you log into Leadpipes Premium, find that that you have 2,000 potential motivated sellers that you want to work with … that would normally cost you $2,000 for those leads ONLY. That’s why we priced this package to be a no-brainer, because not only are you getting lifetime access to millions of quality leads that are updated DAILY … you’re also getting access to all the tools & trainings you need to turn those leads into deals for less than it would cost to purchase the leads on their own. Q:Do You Offer Support If I Get “Stuck” In The Software? Absolutely. We have an incredible support team whose primary focus is helping our users succeed. So if at any point you get stuck or have questions… you can call or email our support, and they will spend unlimited amounts of time with you to make sure that you have everything you need to use the software, tools, and training correctly. We want YOU to look at US as your partner in building a successful real estate investing business, and we’ll be there with you on this journey every step of the way! Q: What Do I Do With The Other Tools And Software I Already Have Set Up? Simply put: You can cancel them ☺ Before investing in Realeflow, many investors have had to piece together multiple software platforms & databases to generate & manage their leads. However, when you invest in Leadpipes Premium today, we’ll help you migrate all of your information into Realeflow so that your contacts, leads, and tools are ALL in one easy-to-access place. Q: Do I Need Any Other Tools? Email Auto-Responders? Websites? Etc. NOPE. The beauty of this is that Realeflow is an all-in-one platform that provides wesbites, email autoresponders, a direct mail engine, a deal analyzing tool, a rehab planner, and much much more IN ADDITION to every motivated seller lead in the country. We made it our mission to lower the barrier of entry into a profitable real estate investing business. So if real estate investing was like playing a video game, we’re giving you literally every “cheat code” imaginable to help even the least tech-savvy person find, fund, and flip houses quickly. Q: What If I Don’t Know What To Say When These Leads Call Me? When you start generating leads with this system, you’re going to be 100% prepared for all the calls & emails you get because we built a “seller script” right into the Realeflow software. So when you’re on the phone with a motivated seller, simply follow the questions laid out in the software and ask them in the order of how they are presented to you. This gives you all the confidence you need to handle any call … even if you’re completely brand new to real estate. Q: When Do I Get Access To Everything That Comes With This Package? IMMEDIATELY. Once you log into your account, you’ll find Leadpipes Premium under the “Leadflow” tab on the upper left-hand corner of your Realeflow account. You’ll also find the Facebook Masterclass, Private Lending System & CIA Course in the “courses” tab in the upper right-hand corner of your Realeflow account. Everything mentioned in this package is automatically made available to you the first (or next) time you log into Realeflow. Q: Does This Work For All Exit Strategies? 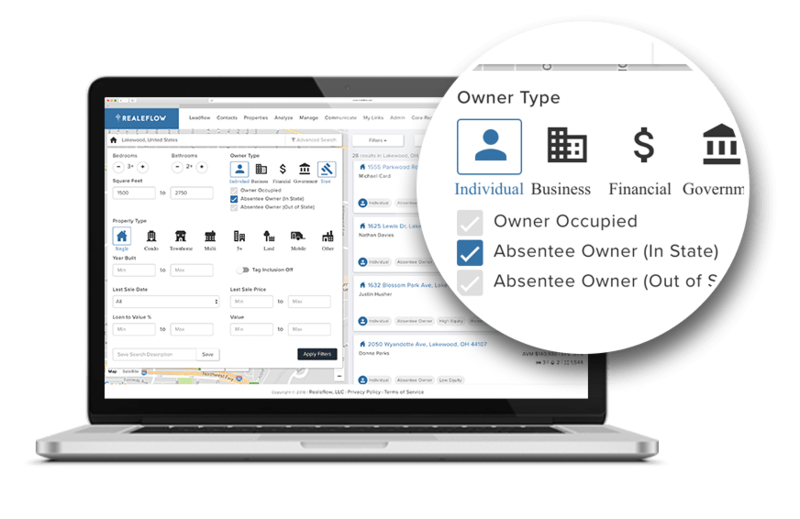 Whether you want to flip a house for profit, rent out a property for monthly passive income, or wholesale a property … this package automates the front end of that process. The first step to growing a successful real estate investing business is finding deals, and that is the step that we’ve completely automated for you with this package. From there … it is completely your decision as to what you want to do with the property. 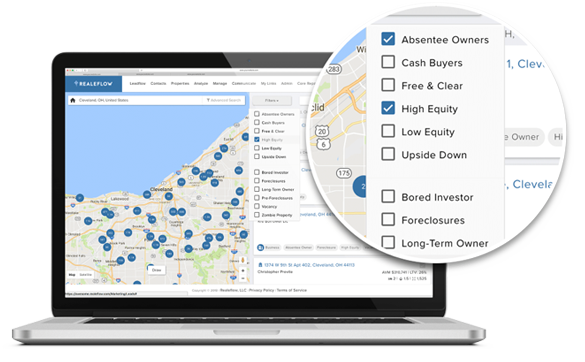 In fact, many investors usually let the details of the deal dictate what they want to do with the property, and our Deal Analyzer tool will offer suggested exit strategies based on the type of property you decide to look at within the software. 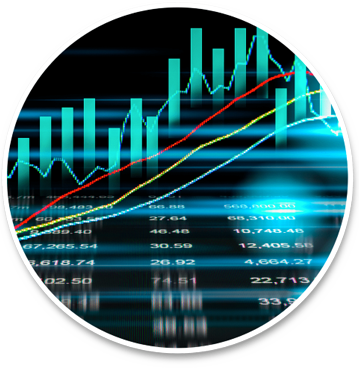 Get Access To Realeflow's Leadpipes Premium!